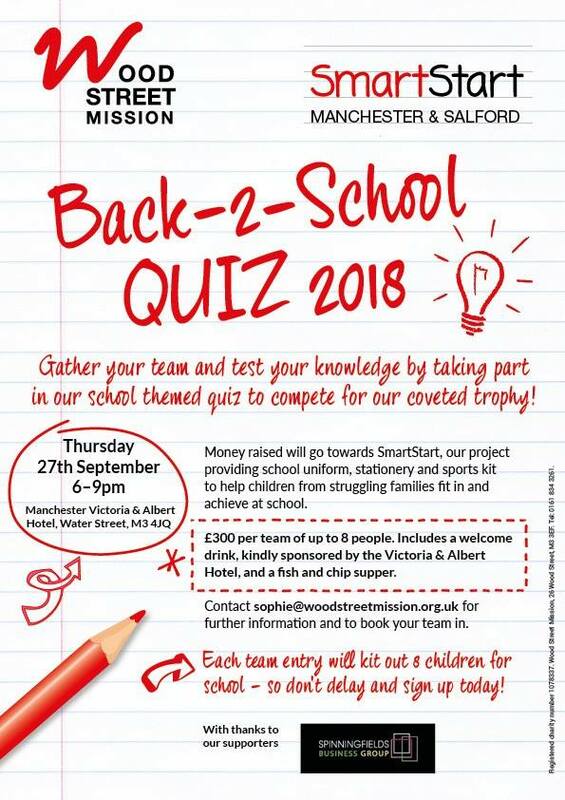 We are so excited to announce that our SmartStart Back to School Quiz, in partnership with the Spinningfields Business Group, is back! 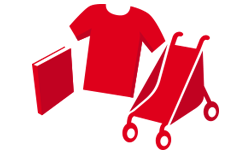 The fun will take place in the stunning Victoria and Albert Hotel on Thursday 27 September starting at 6pm. A team of 8 costs £300 and includes an arrival drink and Fish and Chips. You don't even have to rush home for your tea first! Gather your colleagues, family or friends and let the competition begin. As in previous years we'd love this to be a sell out so please do 'register' early by contacting sophie@woodstreetmission.org.uk.